Panagiotis visited us in our booth at the Munich High End 2016. He was surprised how well the Blumenhofer are playing with triodes and the pairing with Air Tight. 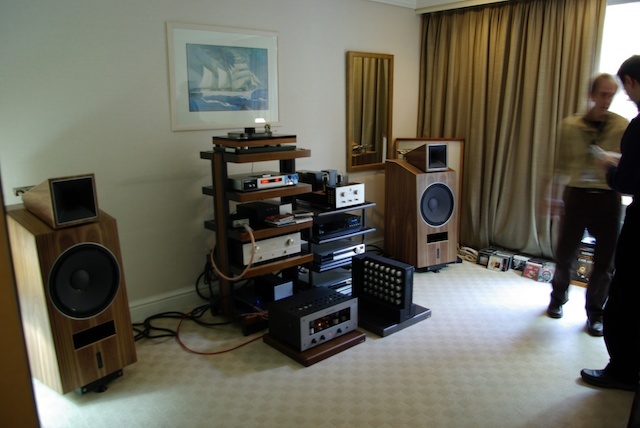 Old style HiFi is simply great. He did not want to believe that the big loudspeaker in the window was meant for a customer. In fact it is, soon I'll post some pictures of this fabulous Cinema near Munich. 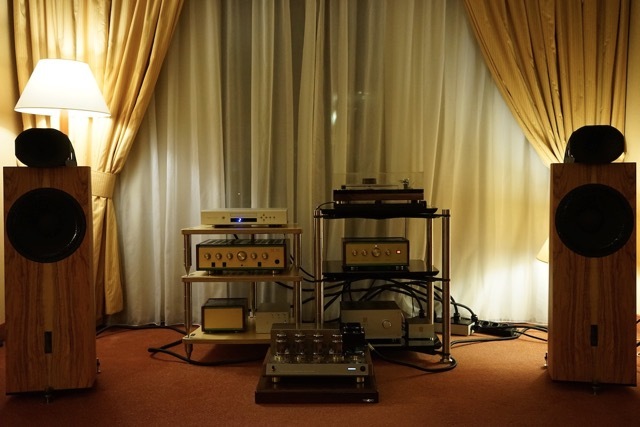 The Audio Traveler wrote some comments on some of the rooms of the Athens HiFi Show. Our room was one of the chosen ones. Here You can read his opinion. I heard Ella Fitzgerald singing “Black Coffee” with a vibrant and clear voice like few other times. 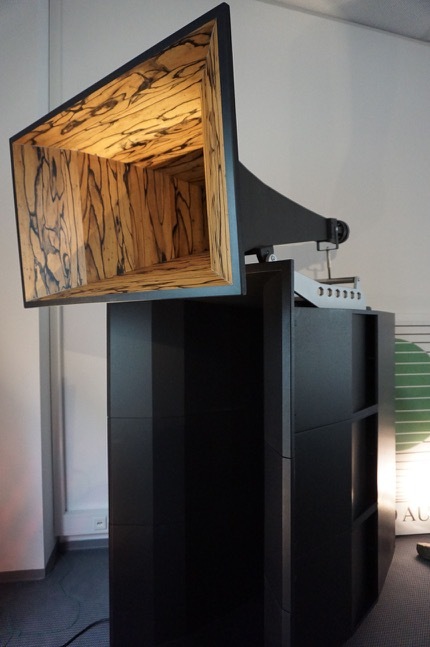 The 12” woofer provided all the bass one would want for a moderate room. 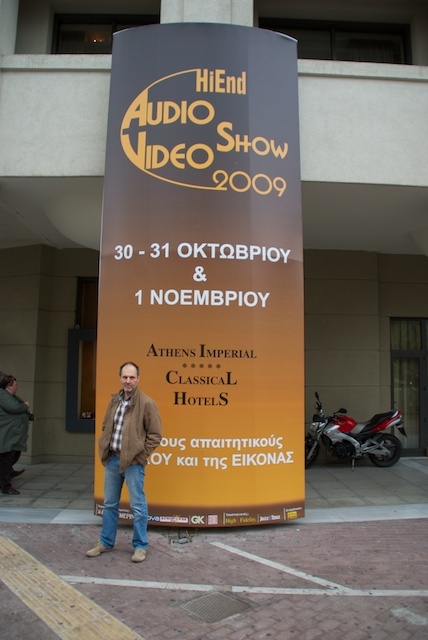 After some years of absence the Athens Audio and Video show is back on stage. The show was good, lot of dealers, good quality visitors on the Saturday. On Sunday there were new people coming, people who were new to the HiFi world: good chances to start up again. The Genuin FS 2 was playing with Leben, Kondo and DPS Turntable. Sometimes business trips are not only business trips. Athens was one of those. In Room 336, Stelios presented the winning Fun 17 paired to a DPS from Willy Bauer, ZYX cartridge and pre phono stage, Mactone power amplifier. Gorgeous sound, nice people and enjoyable food: this was Greece for us.